Samsung is not holding back with the rumored Samsung Galaxy S5 tipped to pack quite a punch. From the enormous ram to the crystal clear display, it appears the Samsung Galaxy S5 is going to be one of the boldest and high powered mobile devices seen. 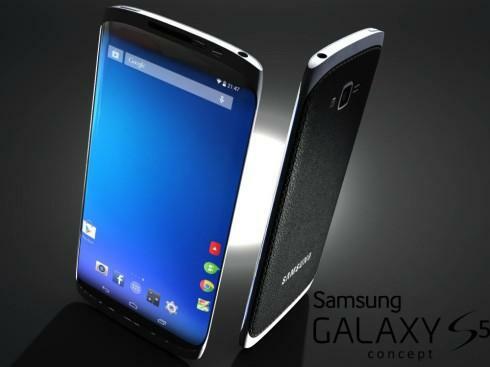 Depending where you look, the Samsung Galaxy S5 is rumored to launch from February 23/24. So what are the rumors and what does that mean for all the potential owners? 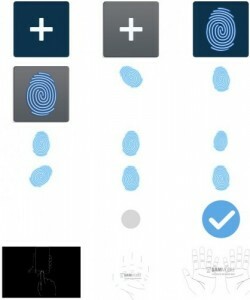 Will the S5 have a Finger Scanner? There are expected to be two versions of the S5, with the US and European model to be equipped with all the latest hardware and technology. Containing 3GB of RAM, 32GB of on-board storage, a 2K resolution display. In addition Qualcomm’s new Snapdragon 805 chipset with 2.5Ghz is likely to feature. The difference for the lower grade model is the use of Samsung’s Exynos 5422 octa-core chip clocked at 1.5GHz with a Mali-T628 graphics processor (GPU). This is coupled with 2GB of RAM and 16GB of storage. There are rumours predicting Samsung will offer both models, but these aren’t 100% confirmed at this moment. Let’s begin with design, one of the most crucial aspects of any smartphone. Rumour says the Samsung Galaxy S5 will resemble Beyonce Knowles; super curvy but slimming at the same time. Credible sources suggests it will be thinner than the S4 while having a larger display screen, a 5.25 inch panel to be precise. Interestingly, on July 20, 2012, Samsung patented a smartphone that has no hardware buttons on the front of the handset. 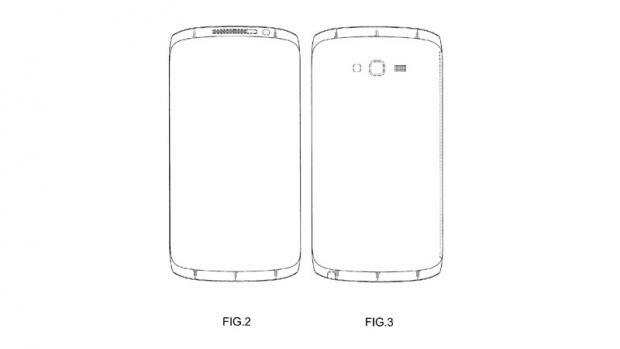 Submitted to the United States Patent and Trademark Office, the patent could possibly be used for the S5. With the help of the leaked patents and the skills of concept artist Ivo Maric, the S5 most likely design can be seen below. There are rumors suggesting Samsung is scrapping its Super AMOLED display for an LCD display. 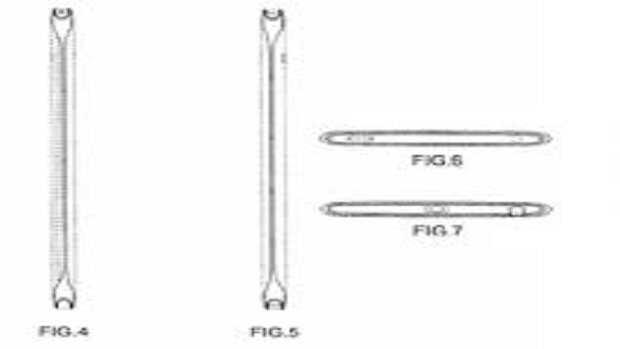 This has mainly come from evidence suggesting Samsung is preparing flexible display technology which is expected for 2015. On the other hand, there are strong arguments Samsung will maintain the AMOLED display. Either way, it appears to be a quality display unit with the outside possibility of High Definition. This was tweeted by internet tech mystic Eldar Murtazin who claims it’ll feature a 5.24-inch AMOLED touchscreen with a 2560×1440 pixel resolution (2K) at 560 pixels-per-inch (ppi). 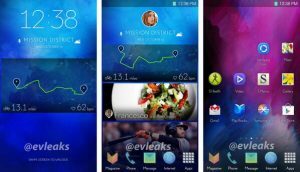 The pictures of the potential new interface seen below which were tweeted by @evleaks are sheer wonder lust for Samsung users worldwide. What’s your thoughts? 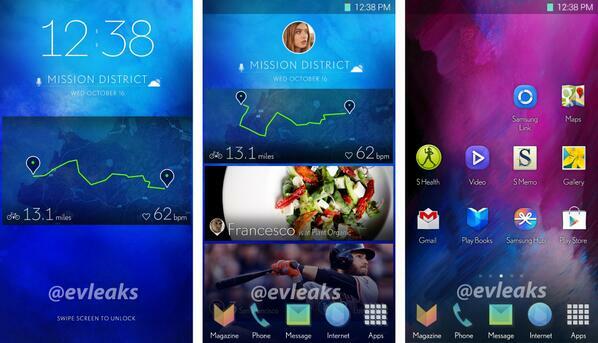 Are these interface snaps reminding you of another smartphone? Whether you are taking selfies or getting that close up picture of your favourite band, the camera on your smartphone has never been more important. There’s very little to report on this front because it has been reported Samsung’s research and development division started worked on a project to develop a 20MP camera sensor from scratch on December 1 last year. 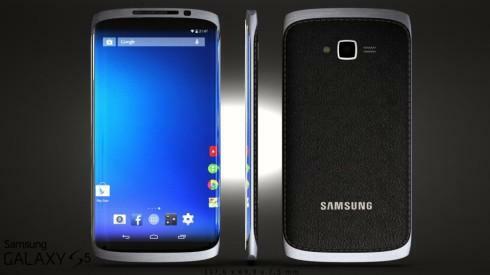 As they will not be finished before midway of 2014, it is highly unlikely the Samsung Galaxy S5 will have a 20mp camera. The most rumored is the very handy and reliable 16mp, which many believe to be used by Samsung for the S5. 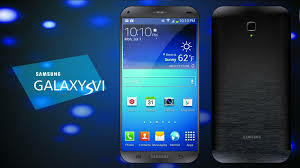 If the rumoured Samsung sources are correct, the new hover function of the Samsung Galaxy S5 will “rock”. In particular, the company will use Synaptics technology to enable 2-point hovering, Synaptics stocks have been given a shot in the arm following reports that the company will team up with Samsung to provide touch control components for the Galaxy S5. As many owners of the S4 would note (pardon the Samsung pun) the hovering features were gimmicky at best and appeared to lack an integration into the overall system of the smartphone. However, these rumours demonstrate Samsung is attempting to re-address this issue and make its touch-less controls not only useful, but also better integrated into the GS5 experience. It had been reported that the Samsung Galaxy S5 would be equipped with an Iris Scanner (eye scanner). 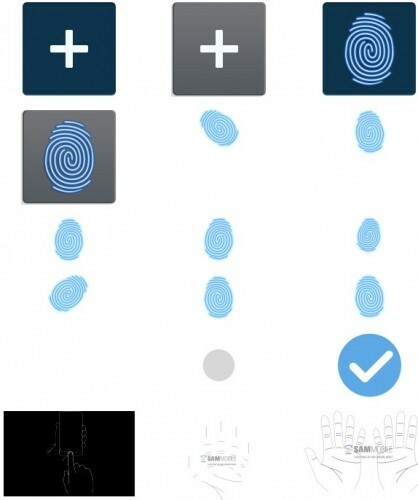 For whatever reason, this doesn’t seem to be the case anymore with Samsung warming to the idea of something more traditional; a finger scanner. This decision came from reports alleging that the S5 would become too thick with an Iris Scanner attached the slim frame of the S5. It is of no surprise then that the rumoured finger scanner is to be built inside the S5, as seen below. We’ve all been there before, you’ve been using WiFi or GPS on your smartphone during the day and when you come home the battery is almost dead! So what’s the difference with the Samsung Galaxy S5? 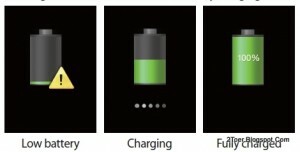 Previous reports have hinted at a 4,000mAh battery, but new rumours are pointing toward a 2,900 mAh battery in the Samsung Galaxy S5. Don’t be disappointed, this battery will include rapid charging technology which can charge from 0-100% in two hours. Currently the Galaxy S4 is boasting a 2600mAh battery so a small increase would be better than nothing. If the rumours are true, the Samsung Galaxy S5 will deliver on all its hype. A cleaner, more accessible interface mixed with a powerful processor all of which will be supported by elegantly slimming design. The only question left is simple, which colour will yours be?